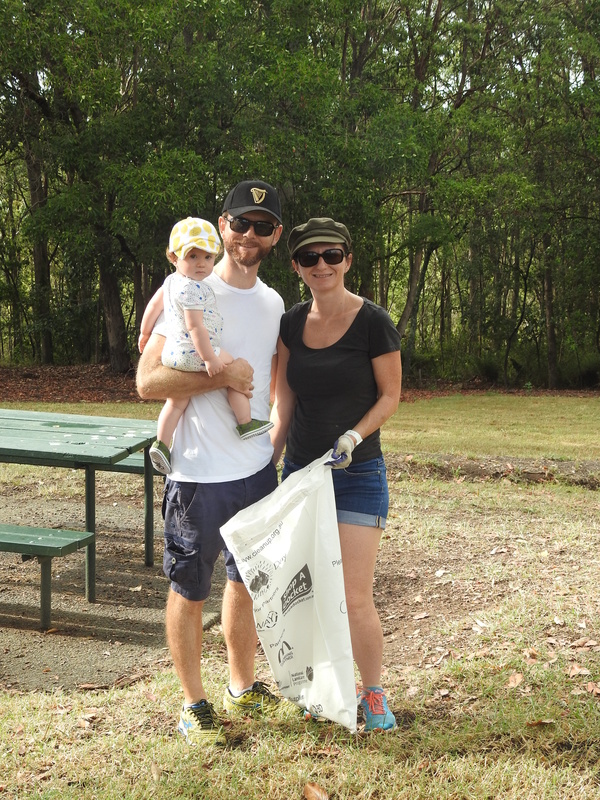 Heather Woods and her family, again hosted our annual Clean Up Australia event. 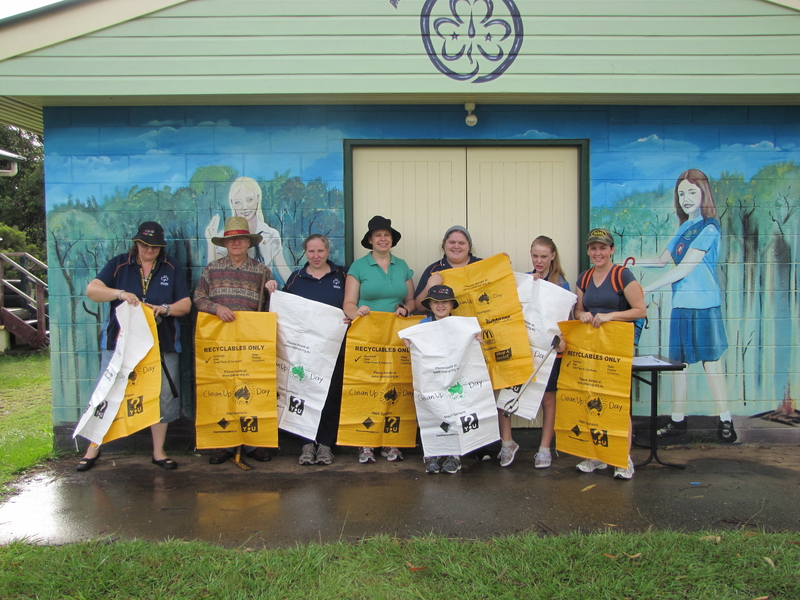 Twenty-nine community members, including Cr Krista Adams and Corrine McMillan MP collected seventeen bags of rubbish: drink bottles, McDonalds’ bags and car parts. 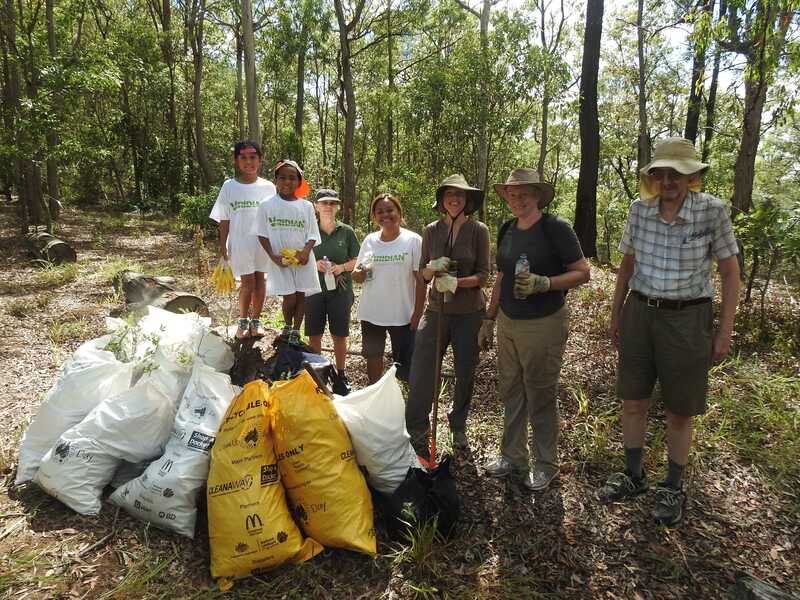 Weeding Team – Lantana busting at the 2017 National Tree Day site. 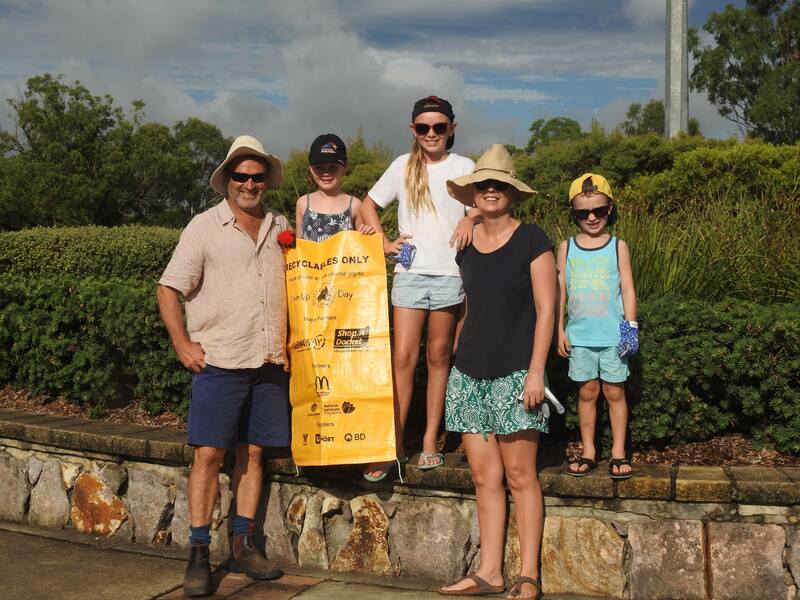 A Griffith Mates team joined the Weeding Team clearing a large area of Creeping Lantana Lantana montevidensis as well as weed grasses along the road verge. 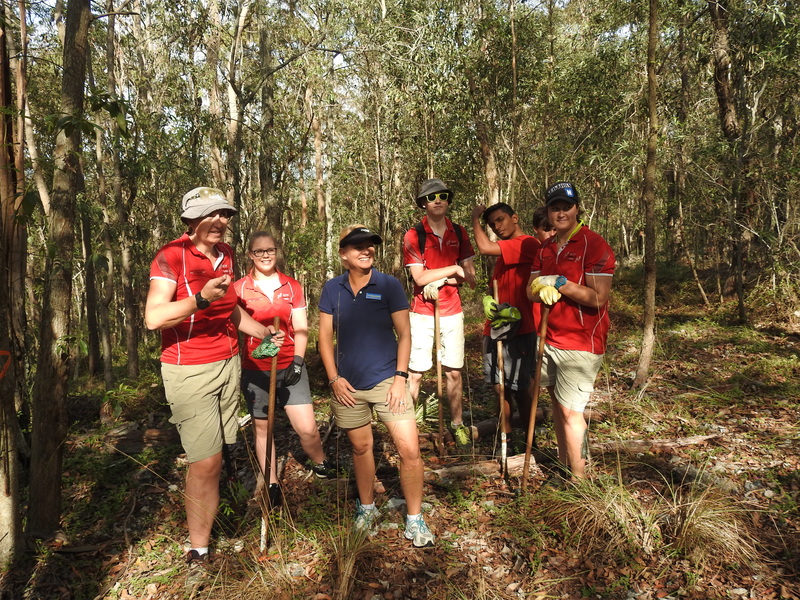 I was able to show the Weeding Team members the natural regeneration of native plants where the Creeping Lantana was removed as part of National Tree Day. 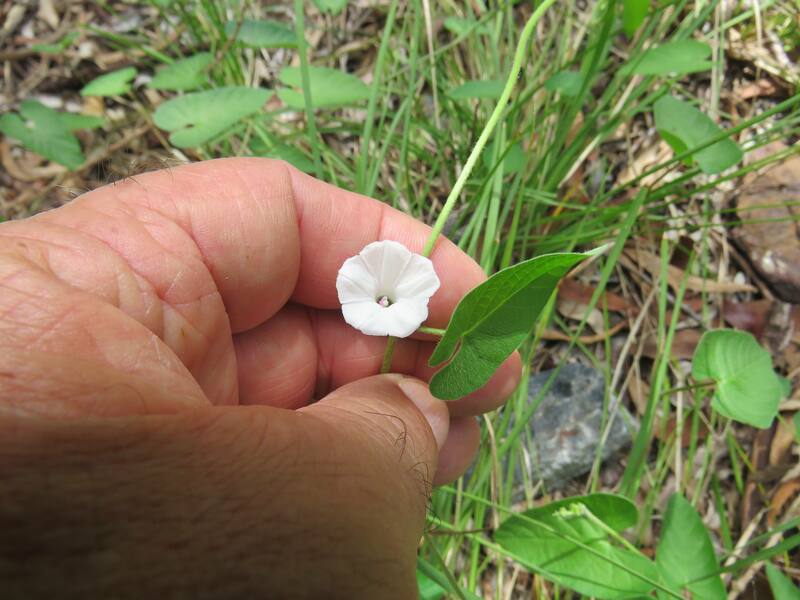 Bell Flower vine is a delicate scrambler spreading in the cleared area. 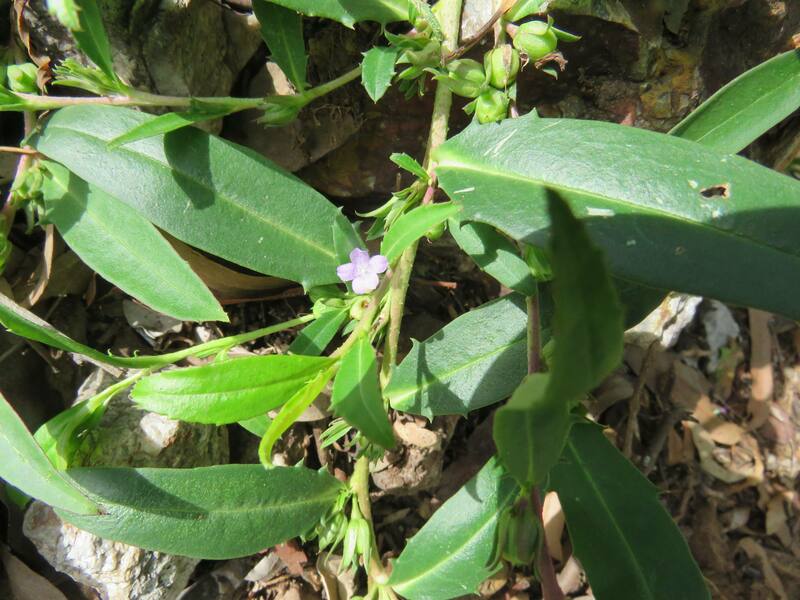 Winter Apple Eremophila debilis is a herb with a small mauve flower and cute little apple like fruit. 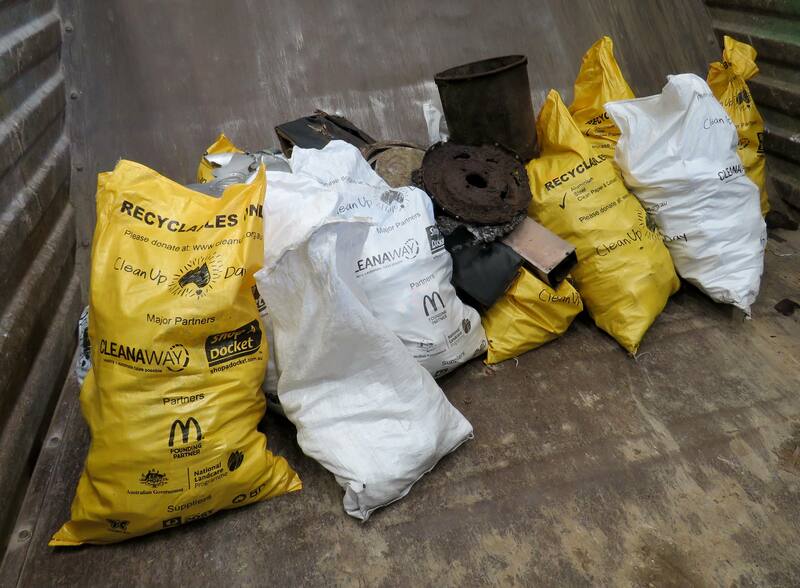 A great morning working with inspiring people and a lot of rubbish taken to the dump. 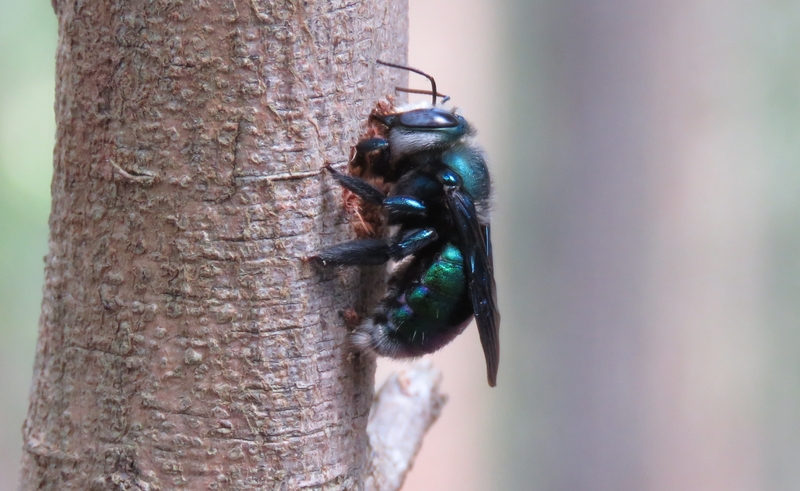 Clean Up and restoration work is making an impact with wildlife like this female Green Carpenter Bee Xylocopa (Lestis) aeratus returning to the restored habitat. Video shows the female chewing a nest hollow into an Acacia. 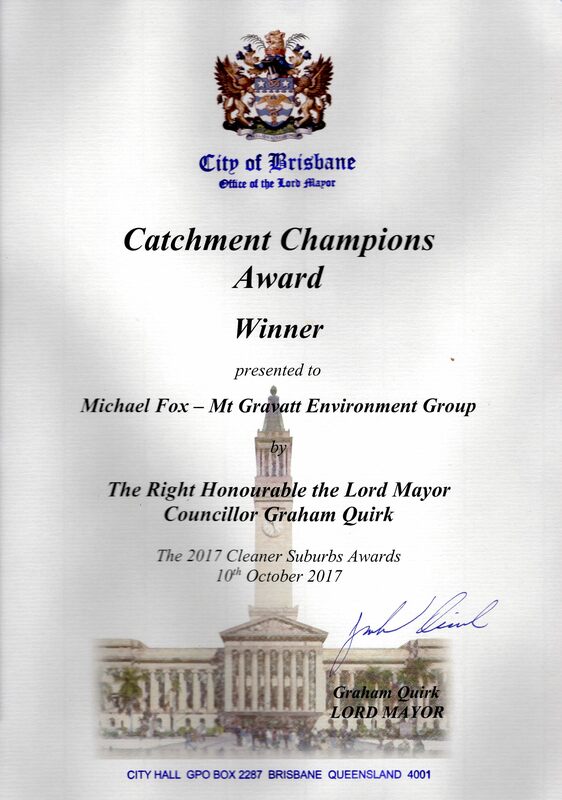 I have been honoured to accept the 2017 Cleaner Suburbs – Catchment Champions Award in recognition of our work within Mt Gravatt Conservation Reserve. In receiving the award I reflect the efforts of dozens of enthusiastic happy volunteers including Marshal and Liz who work with me on Tuesday mornings. 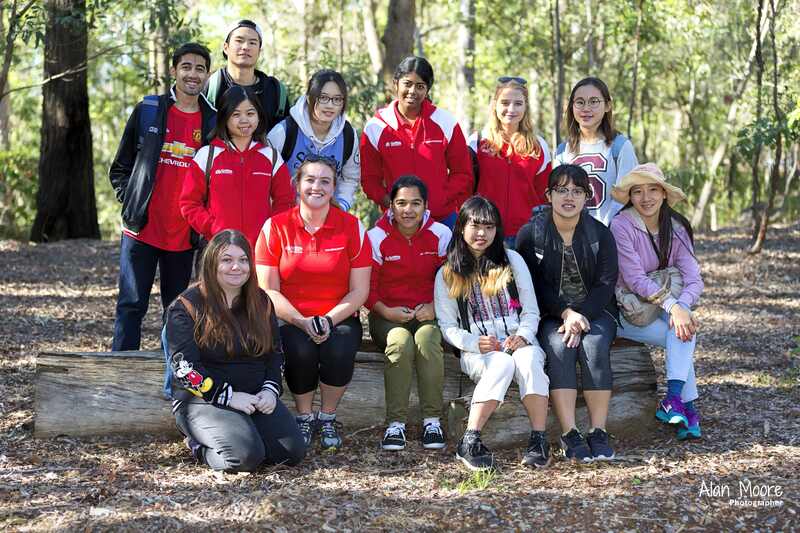 Our Griffith Mates partners join us for regular Fox Gully Bushcare events bringing international students to experience the Australian bush and contribute to our restoration work. 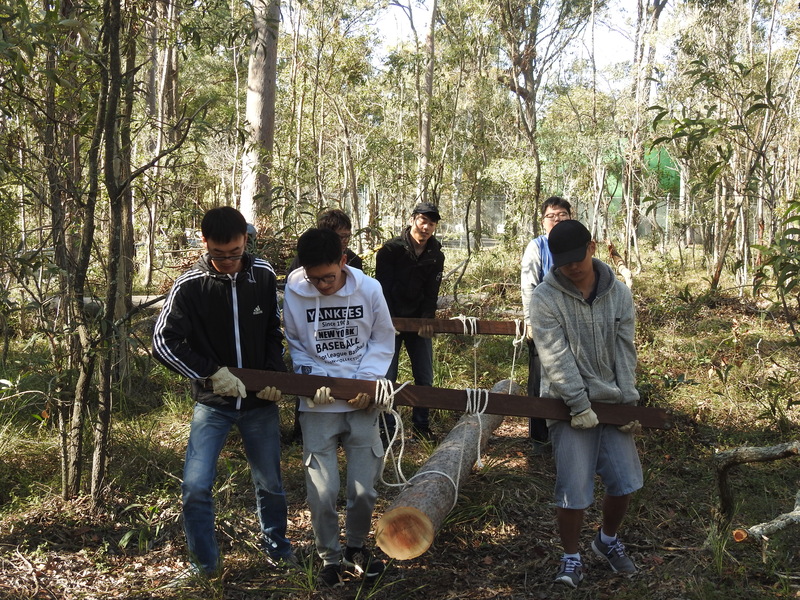 The Mates willingly join in everything from weeding to moving logs. 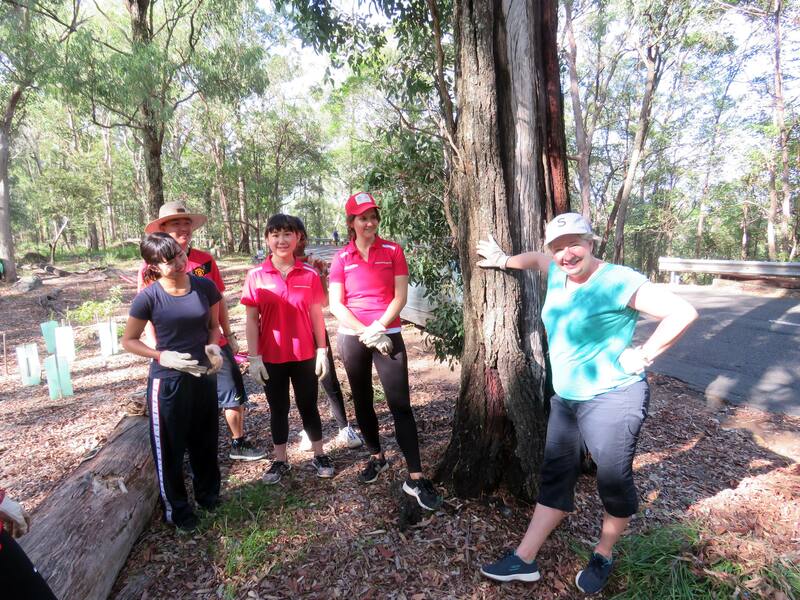 Heather Woods organised Clean Up Australia welcoming a wide range families to join us cleaning up Mt Gravatt Conservation Reserve. 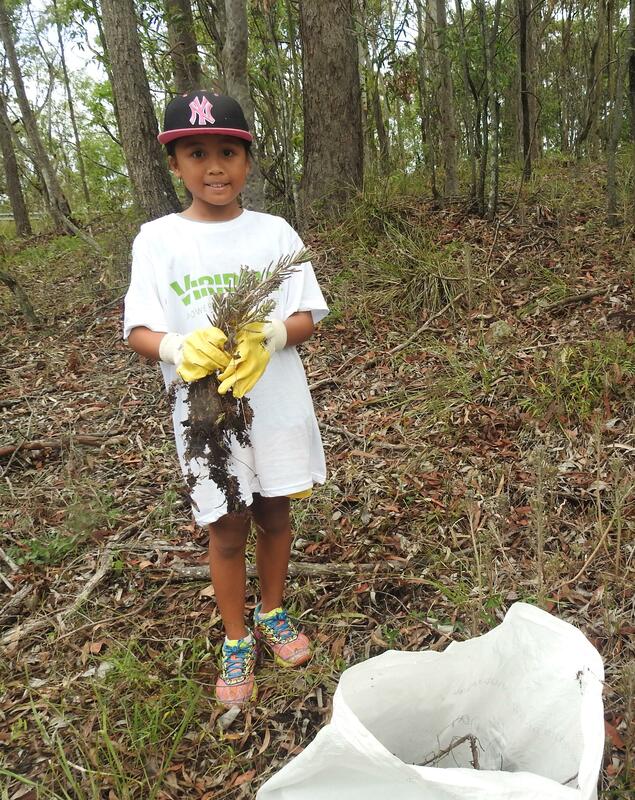 One hundred and fifty community members worked hard and shared smiles at our National Tree Day event. 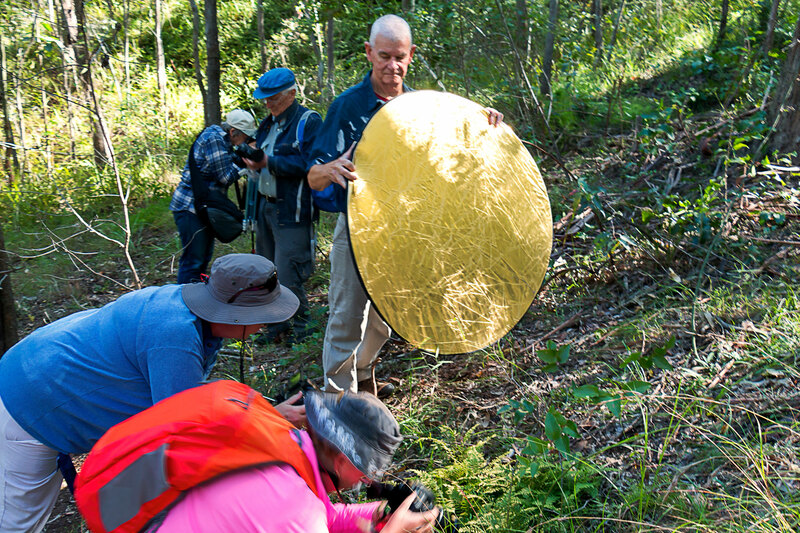 Member, Alan Moore runs our annual Photography Workshop and prepares our calendar, combining community education and fundraising for equipment. 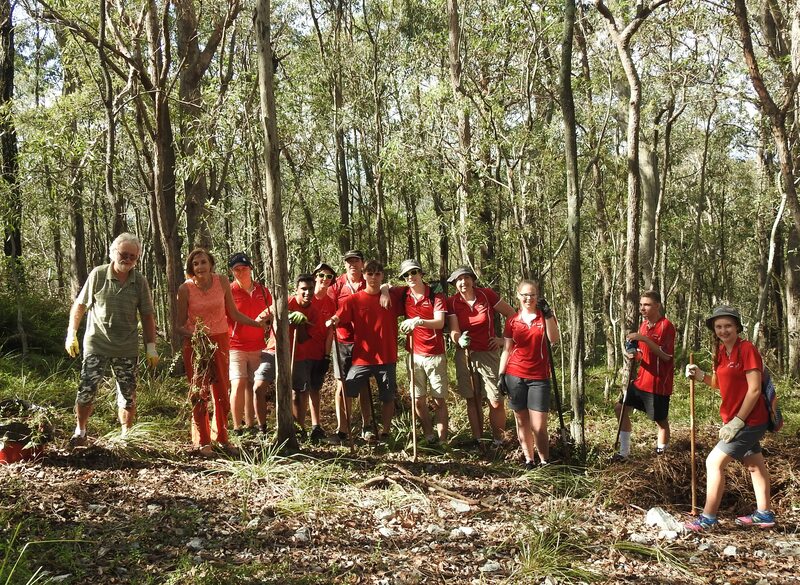 The Brisbane City Council Habitat Brisbane team provide training, contract support, tools, plants and other resources. 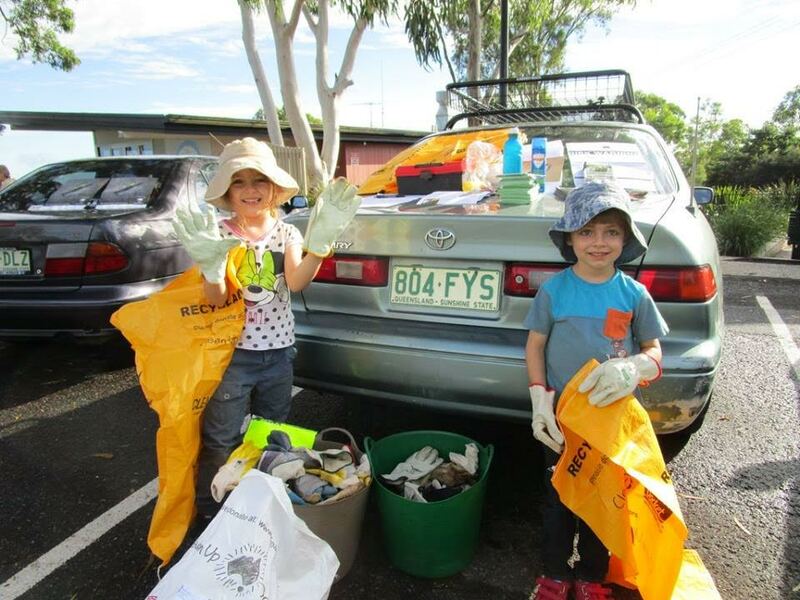 Non-profit social enterprise Bulimba Creek Catchment Coordinating Committee (B4C) provide vital support auspiceing grant applications, accounting and seed funding to launch our Polliantor Link project. Thank you to all our supporters and a special thanks to Heather Woods who nominated me for this award. Fast-food Container Team headed down the road. Happy Meal boxes seemed to make up a large bulk of their clean-up, which suggests it is parents not Gen Ys littering the roadside. 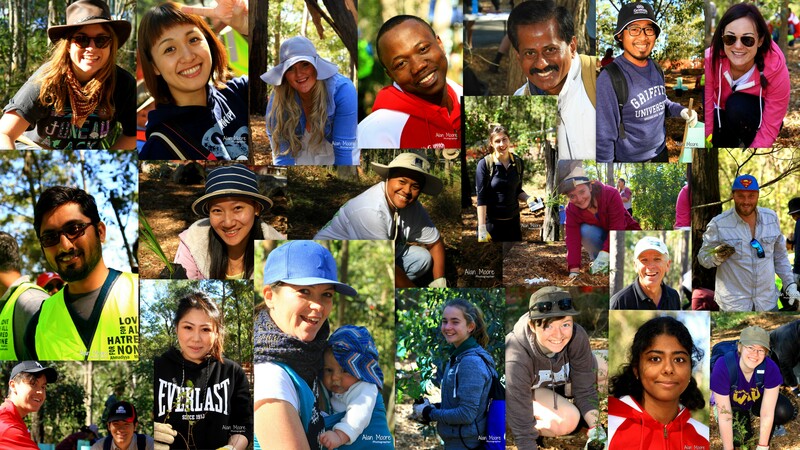 The Kokoda Youth Foundation supports young Australians, inspiring them to do extraordinary things. We challenge their deeply held beliefs, allowing them to explore their limits and abilities, and provide them with opportunities for personal growth.It was an inspiration to meet and work with these young people. 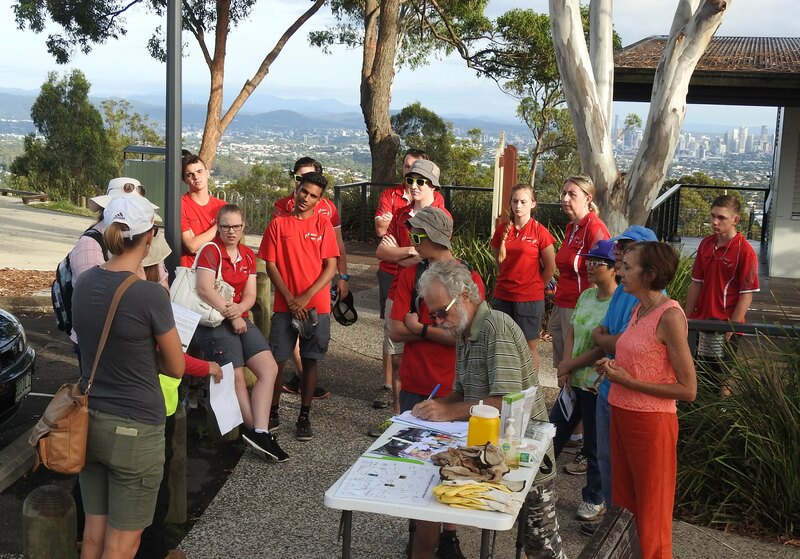 Cr Krista Adams joined the Lantana Weed Busters learning more about our Bushcare work as well as taking the opportunity to meet some of Australia’s future leaders. 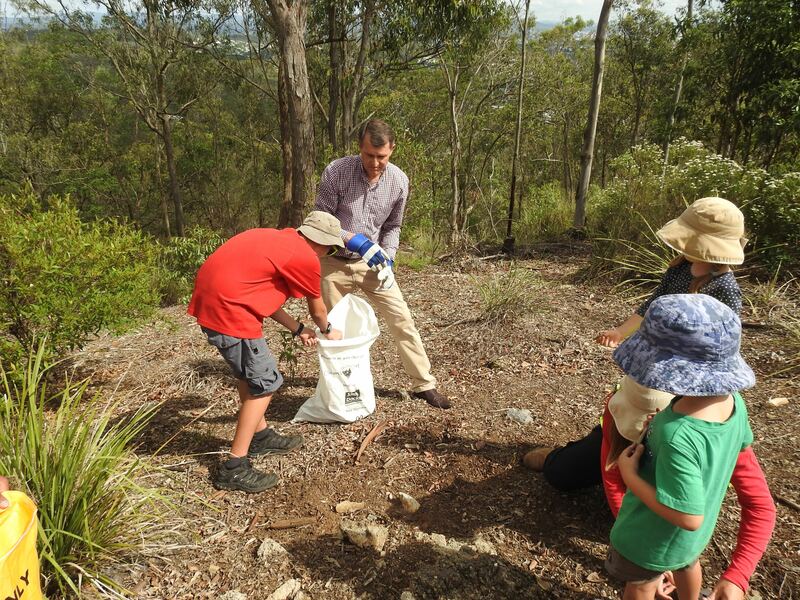 I had to opportunity to talk with Lord Mayor Graham Quirk as we cleaned up around the 2 Millionth Tree Planting at the Summit. 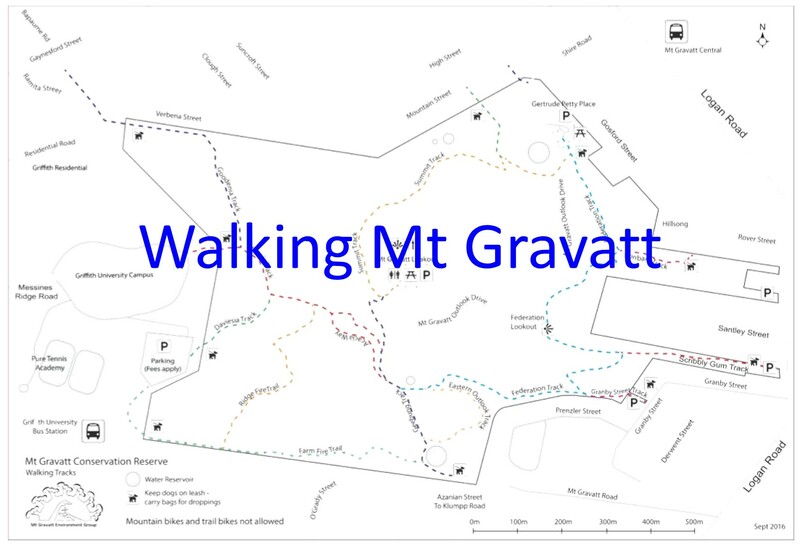 I complemented the Lord Mayor on the Council support for our Mt Gravatt Conservation Reserve. 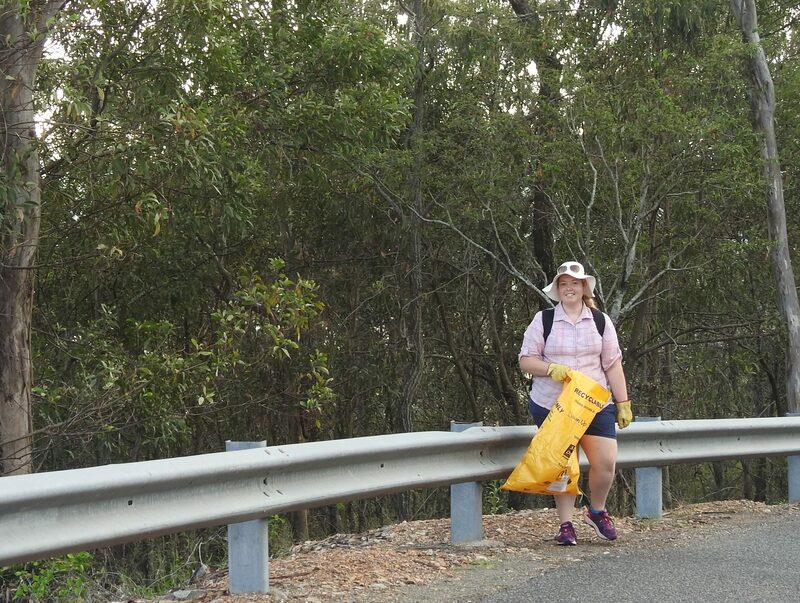 Now that Council officers lock the gate at night and clear up around the picnic area we have much less rubbish. 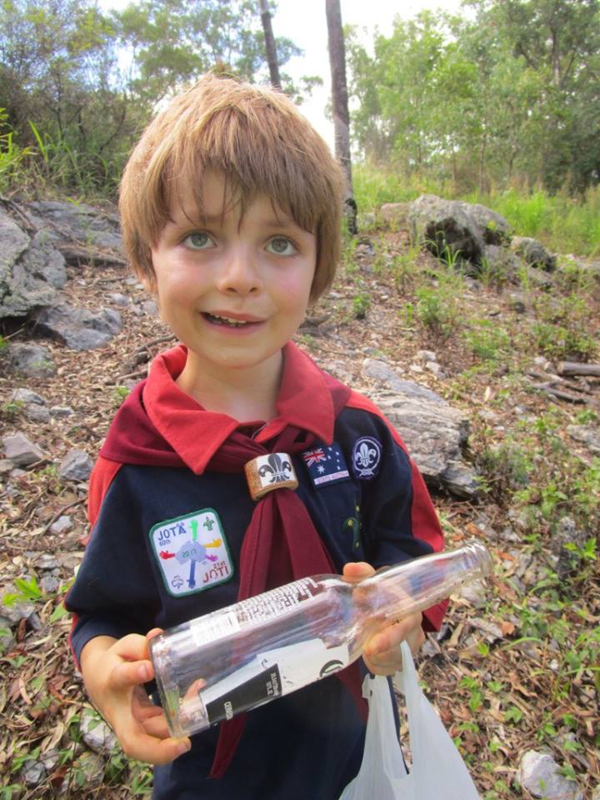 Even the broken glass we were picking up seemed to be from older thin glass stubbies or older style beer bottles. We also discussed the Pollinator Link project. 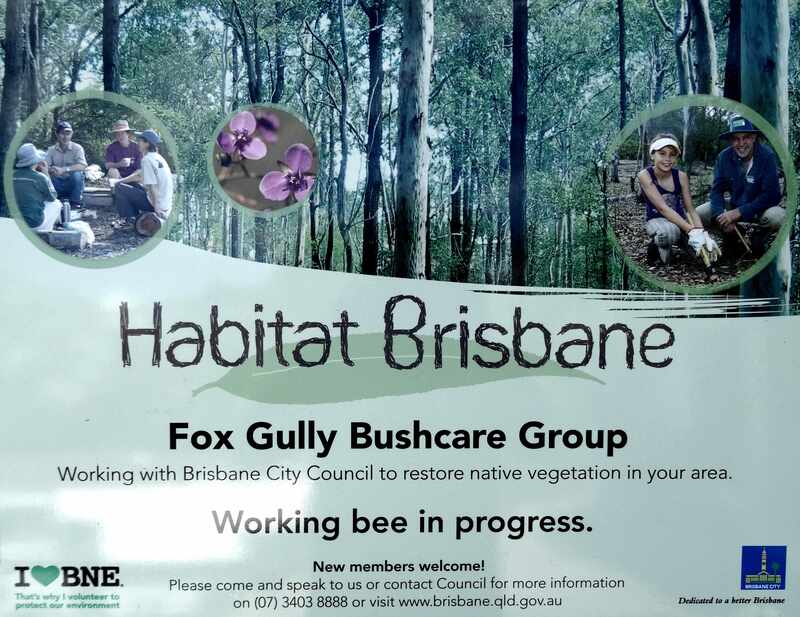 I was proud to explain to the Lord Mayor of Brisbane that we now have our first first Certified Pollinator Link Garden in Sandgate and regular articles appear in Living in the Shires published by Harcouts Graceville. Now we just need to get our Council Parks meeting the Pollinator Link criteria with water for wildlife and nest-boxes. Clean Up success. 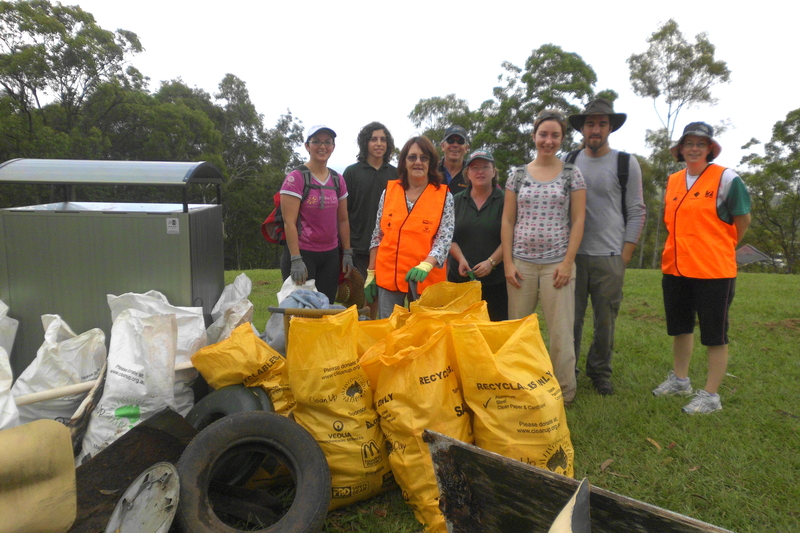 Thirty volunteers scoured the Reserve and even with half working as Lantana Weed Busters there was still a huge pile of rubbish collected. 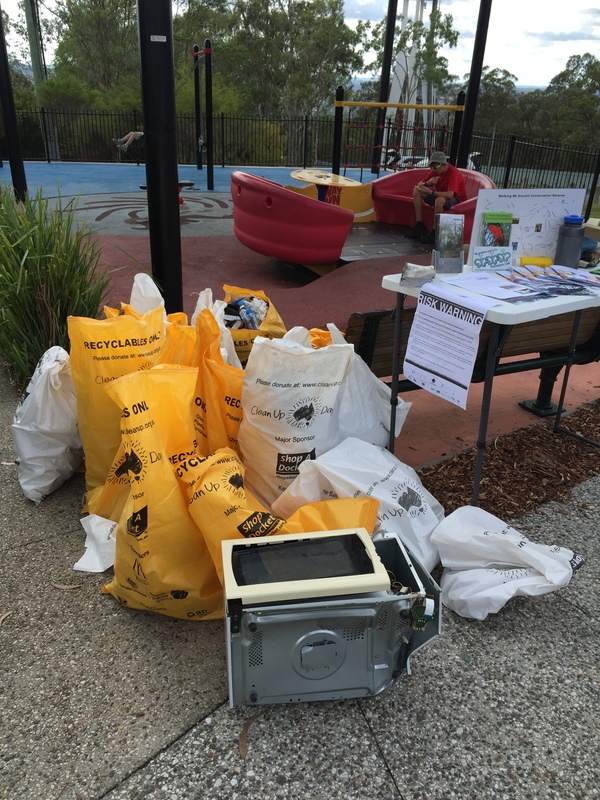 Even a microwave dumped at Federation Lookout. 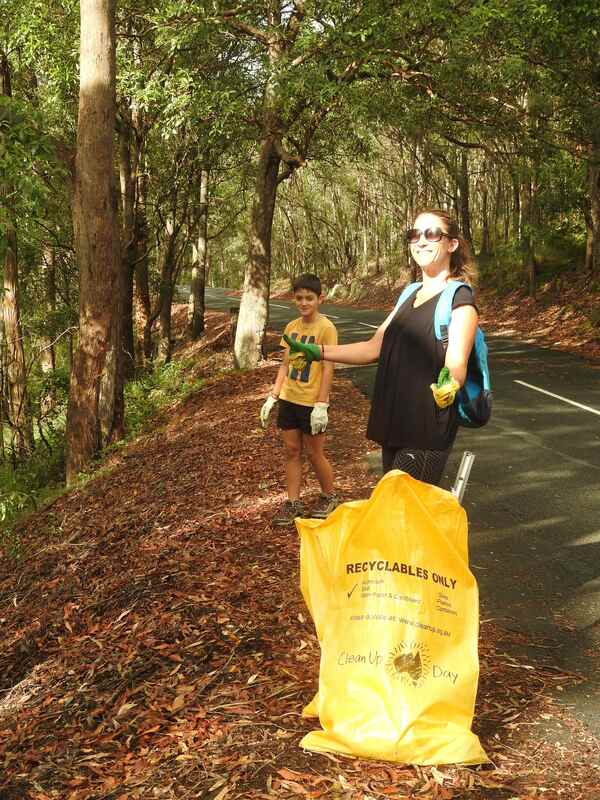 However, I think the prize need to go to the Girl Power team who collected so much rubbish beside the road they had to return for extra bags and still struggled back to the Summit with two more full bags of rubbish. 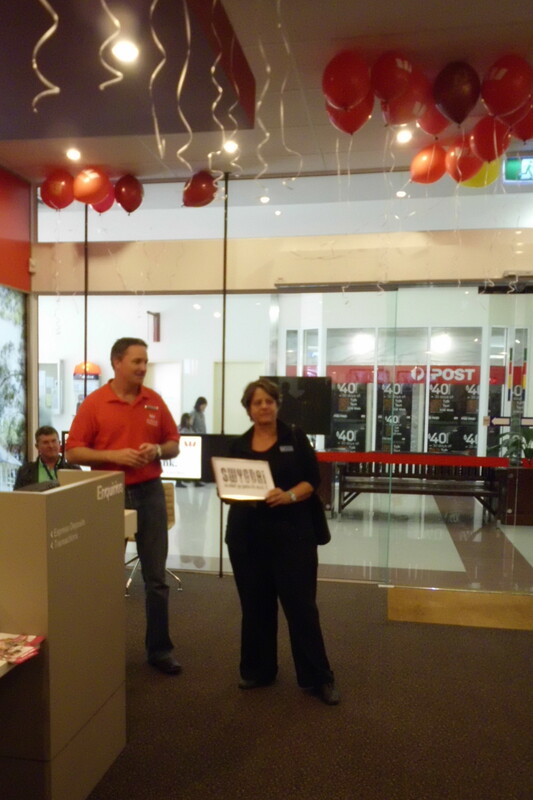 At a recent Westpac Mt Gravatt luncheon to recognize local volunteers, Branch Manager Paul Dennett presented Nancy Hodge with a ‘Community Champion’ certificate for her work with Mt Gravatt Environment Group. 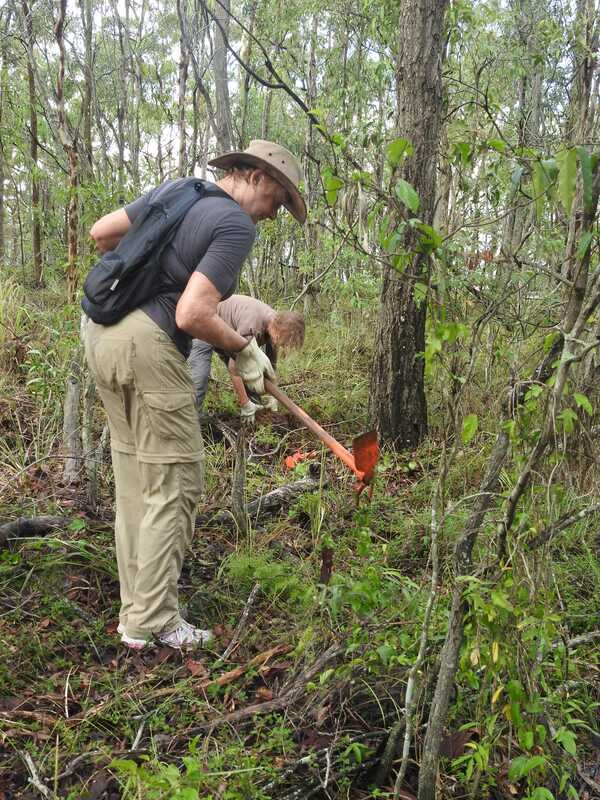 Nancy has propagated hundreds of local native seedlings which she has then assisted us to plant. 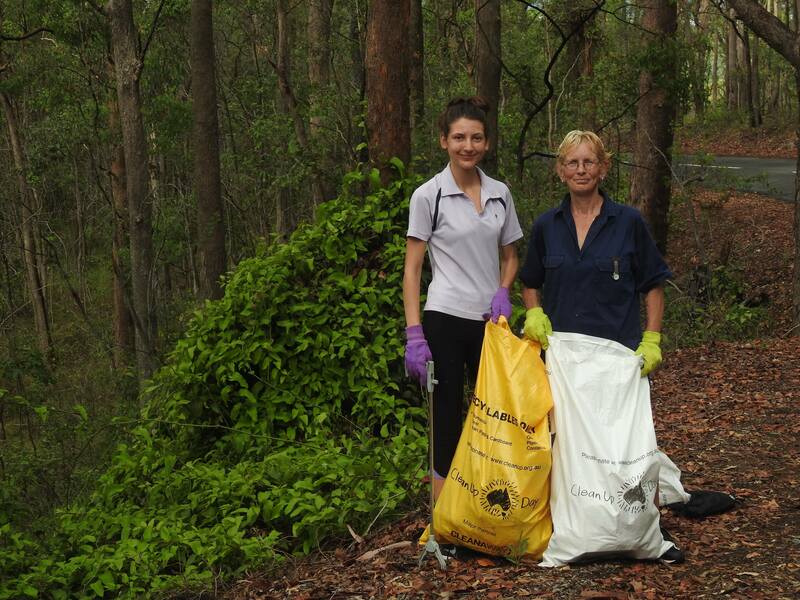 She is a regular volunteer at group working bees and our annual Clean Up Australia Day event. Congratulations Nancy, on your award!